Dev blog. 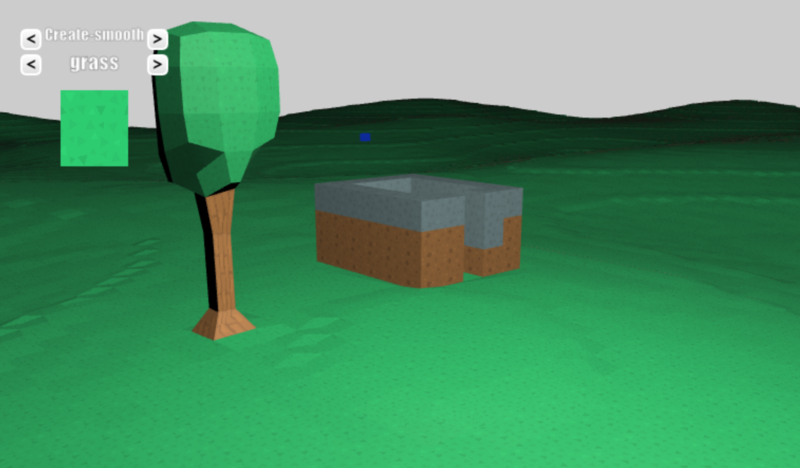 Currently working on a open world action RPG. Get the latest builds: Patreon. Public Version for game under development (v4.9.2): Here. Download for Heroine Rumble is at the Heroine Rumble page. 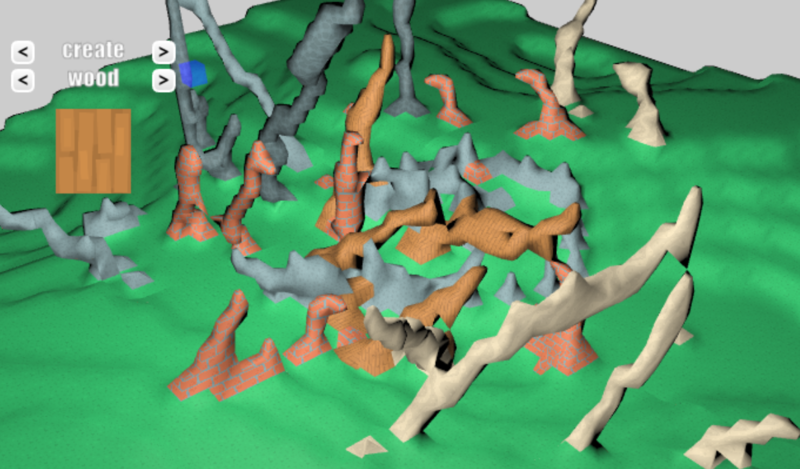 Finally had sometime to hammer away at the new game, and made significant progress on the terrain system. Some people have expressed concerns regarding the size and scope of the new game, and it is an indeed a legitimate concern. But in actuality, many features outlined in the design document were either implemented in Heroine Rumble already, or almost implemented, so they are a simple porting job. However, the terrain system is not. And it is actually a very ambitious undertaking. 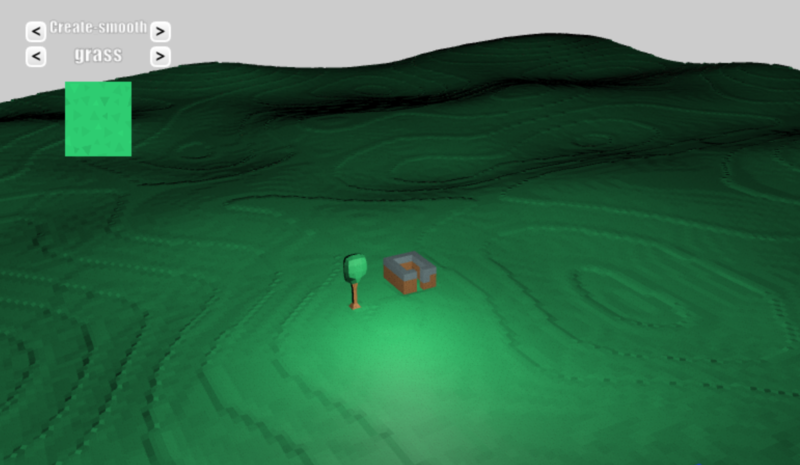 Note that what I am going for is a fully modifiable, "infinite" (to very large number), procedural voxel terrain. 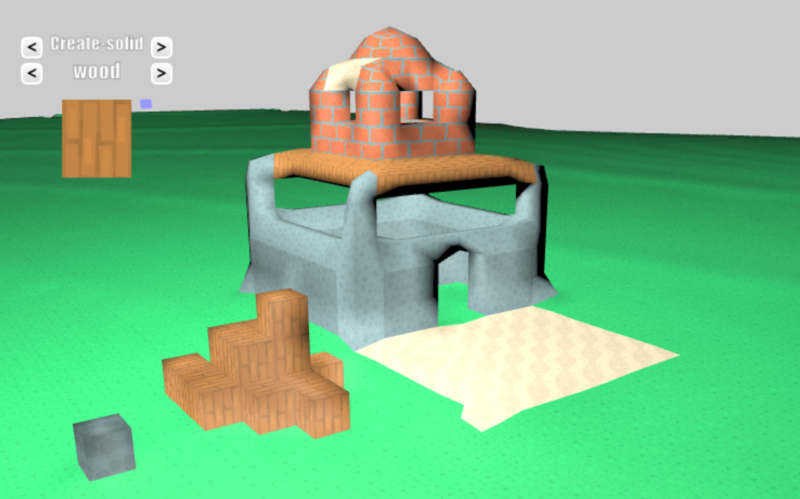 Think Minecraft but with the inclusion of smooth blocks rather than only cubes. Now obviously I am not going for a Minecraft clone but the fact that everything is in a grid will make a lot of things much easier. Not to mention that once it is finished, a huge number of environment and biomes can be generated. Or create your own wrestling-ring/room/building and what not. Rewrote the smoothing algorithm to support smoothing on all sides. I don't know what this is supposed to be. Modern Art? Here is a cave, some rocks and a "tree." Note that each height layer is very visible. 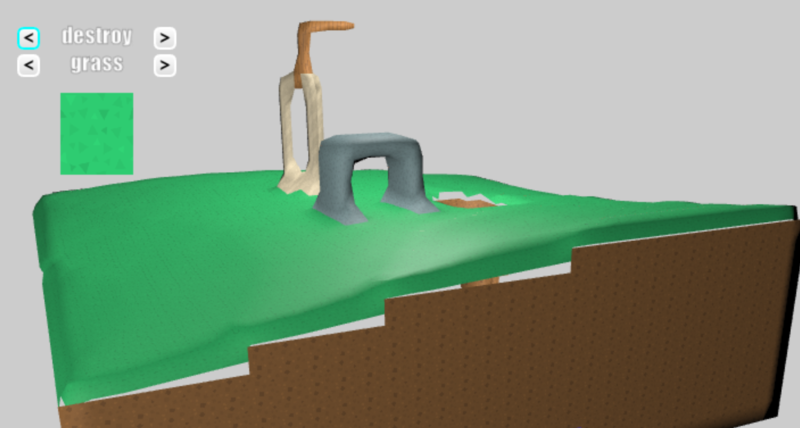 Here is another attempt at smoothing out the cube layers. Note that smooth blocks and solid blocks are not joined together properly. Here is a building with both smooth blocks and solid blocks. Light is too bright in this picture. Combining different chunks together to create one large terrain. With flat lighting on to help debugging. 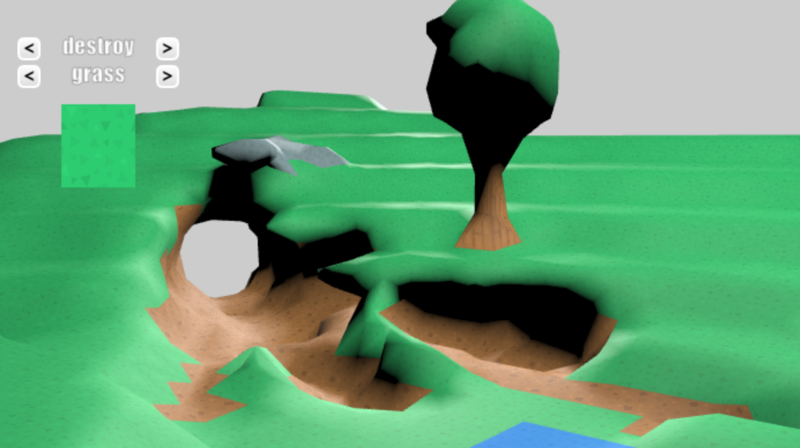 All in all, I am quite pleased with how the terrain geometry turned out. The ridges right now are too visible for my liking and what I am currently working on right now. So just a few questions that weren't asked/answered for me in the last post about this new game. With potential game overs being sexed into submission by enemy monster girls, will you be planning on adding enemy specific dialogue or cgs for said game overs, and/or specific scenes if you would lose to a more important foe? With the terrain system, do you plan on creating a match/flashlight system to go with low light areas such as caves and deep forests? Will acquisition of lewds be only from quests or will defeating standard enemies allow a small to moderate drop as well? Depends. The fastest path would be to extend Heroine Rumble's Adventure Mode. But there are improvements and new features I want to implement and those can take some time to do. what software did you use to make your game?